Detectives have launched a murder investigation following the fatal shooting of a man in the Warrenpoint area of County Down on Friday evening. A woman was also injured in the incident and was taken to Daisy Hill Hospital but has since been transferred to the Intensive Care Unit at the Royal. It is understood she is currently in a critical condition. 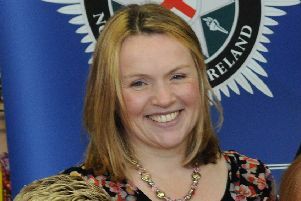 Detective Chief Inspector Geoff Boyce said: “Police were called to the incident at a house in the Lower Dromore Road area at 7.30pm on Friday, January 18. DCI Boyce urged anyone with information that could assist detectives investigating the incident to contact them on 101 or to contact the anonymous charity Crimestoppers on 0800 555111.